On the launch of the Windows 10 in 2015 Microsoft had given 1 year time to Windows 7 users to upgrade to Windows 10 for Free. Later on, they extended this time and than close the offer. But people are still asking that is there any way to get free upgrade offer? And I can simply answer ‘Yes‘. Jump directly to Upgrade Windows 7 to Windows 10. Recently I tried to install the windows 10 on my new PC and was successfully able to use my windows 7 key. I just gave it a try and found that the deal is still on. Though I can not guarantee that it will work for everyone, but there is no harm in trying. See the below process of upgrading to windows 10 from windows 7. You can also create a bootable windows 10 disk with it to install Windows 10 on a different PC. How to upgrade from Windows 7 to Windows 10? Users who still have not switched to the newer Windows 10. I advised them to switch as early as possible as Microsoft is going to shut down the support for Windows 7 operating system. 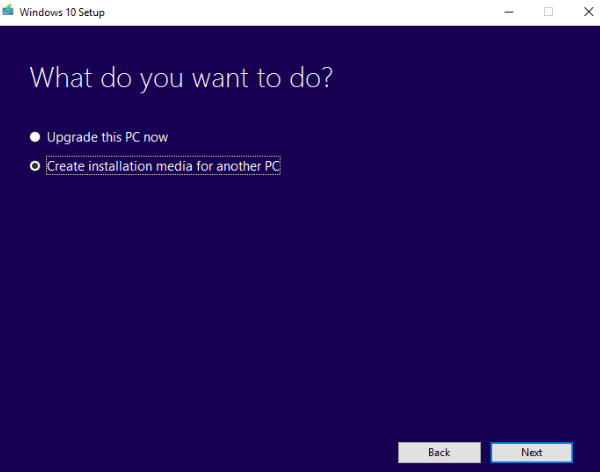 First of all download the Windows 10 media creation tool, which is required to upgrade from Windows 7 / 8 to Windows 10. Upgrade process is hassle free. All your programs and data will be migrated to Windows 10, if you do the In-place upgrade. First of all you need a genuine windows 7 serial number to upgrade windows 7 to windows 10 for free. During this process you have two options either upgrade Win7 to Win10 on the same PC known as inplace upgrade. Or Install the Windows 10 on a different PC or partition. In this process all your data, installed software and settings will be migrated automatically to the windows 10. Follow the below steps to start the upgrade process. download Windows media creation tool. And run it in the Windows 7. It will give you to options to select from Select the first one ‘Upgrade this PC now‘. It may take some time in downloading Windows 10 files from the internet. So it depends on your internet speed that how much time will it take. If you are using a pirated or cracked windows then it may ask for a product key. Otherwise it will not ask for any license key. After completion of download it will ask for what to keep. You can choose data only, data and apps or nothing. By default data and apps option is selected. Click on the next and it will start the upgrade process and may restart windows several time. Congrats, if everything goes smooth you will be welcomed by Windows 10. See the below video for a quick reference. 2. Download and create a bootable disk to upgrade another PC. Using below method you can download the Windows 10 ISO file directly from the Microsoft. And it can be installed on a new computer using windows 7 serial key. Download the Windows media creation tool from the Microsoft website. Download and Run this file. It’s an approx 18 MB file. It will ask for two options upgrade this PC or download for another PC. If you need an ISO image or windows 10 on to a bootable USB then choose second option. Otherwise choose first. Choose the create installation media. It will ask you to make a bootable USB or download an ISO image. You can later on burn an ISO to USB / CD or DVD. We prefer to use the bootable USB. It needs at least 8GB free space in the USB Stick. After the completion of this process you have a Valid and legal official windows 10 available in your USB drive. Now you can install the Windows 10 on another PC or on a different partition. This is an easier method to get genuine Windows 10. So now avoid downloading from torrents or other illegal methods. But if this does not work for you then I will recommend to buy a valid product key from the Microsoft. Buying Windows 10 is a onetime purchase and you will get the unlimited updates / upgrades. Microsoft announces Windows 10 as the last version and provide it as a service. Q: It is asking for the product key, and my old windows 7 key is not working. What to do? A: Some times it happened that if you have a genuine Windows 7 key and still Windows installer can throw message like “This product key didn’t work”. In this case you can try to re-activate Windows 7 first. And then start upgrading again, now installer will skip this step. Q: Can I upgrade to Windows 10 with USB in offline mode, without installing from the internet? A: Yes, you can just choose the create installation media for another PC or mount the ISO file to your USB. And then run the installer from the USB. It will then copy the files from the USB instead of downloading again from the internet. Q: Do I need to take the backup? Is there any option to revert back to Windows 7? A: Taking backup of your important data is a good practice, you should do this on regular basis. Though there is option to rollback to windows 7, but we recommend you to adapt the new system instead of rolling back. There are lots of Windows 10 Tutorials available online. Q: Can I upgrade from Windows 8 to Windows 10? A: Yes, upgrading from Windows 8 process is almost same as of Windows 7. You can follow the above steps. Q: Can I upgrade from Windows XP to Windows 10? A: Before upgrading from Windows XP to Windows 10 you should consider two things (1) First you can’t migrate all you data, programs or settings. You need to take the backup of data first. Actually it is like a New installation. (2) Secondly, Your old hardware may be not compatible or insufficient for the new Windows 10. So we advise you to upgrade Windows 10 along-with the hardware. Please share your experience whether it worked for you or not. Ask freely if you face any error during upgrade. Well i did it once again and it worked all right. Yes, you’ll get Windows 10 Professional edition if you plan to upgrade from Windows 7 Professional. Hopefully you will get a free upgrade. Still worked for me today March 9/19! Thanks Techexpert! Where do you find the key for a pre installed version of Windows 7. My system came with it already installed with no disc. Download the ProduKey Viewer by Nirsoft which shows you all the installed Microsoft product keys on your computer. See the below Screenshot. Does the licence type of the windows matter? Like if you have OEM/FPP/OA/KMS/MAK? Can only some of them be upgraded this way (since some are intended for companies)? Thanks if you have any insight into this. You can also contact Microsoft for more details. Don’t you need to boot from USB or DVD to do the upgrade installation.? Can you run the setup in Windows 7? Microsoft says you need to boot to the USB? If you are upgrading from Windows 7 then you do not need to boot from any USB or DVD. In-place upgrade work fine, but internet connectivity will be required. Or if internet connectivity is possible on the PC or have a slow internet connection then you can create a USB or DVD from another computer and it can used to upgrade any PC. You can change the boot from USB or DVD from the boot menu if required. OK, just to confirm.. IF you are doing an in place Windows 7 to Windows 10 upgrade and DON’T want to run it from the internet, you CAN? run the setup executable IN Windows 7 without having to boot to USB, Correct? I would assume installing from USB would be much faster than doing the in-place upgrade over the internet? 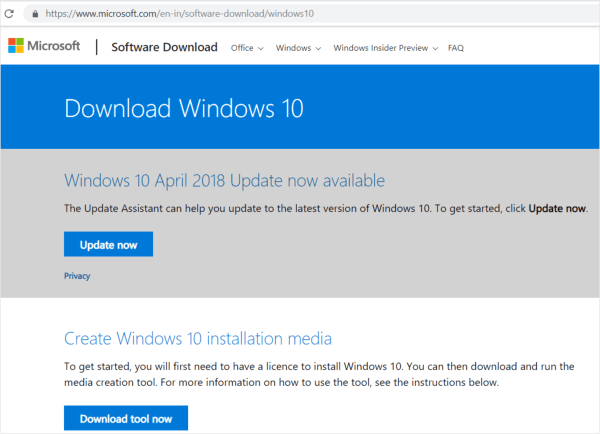 Yes, you can easily upgrade your Windows 7 to 10, even if you don’t have Internet connectivity, but you should have Windows 10 bootable DVD/USB/ISO or Windows 10 files in the hard drive. Although, the Windows 10 doesn’t allow you to upgrade your Windows 7 if you boot your computer from windows 10 bootable USB/DVD. The upgrade will work only if you start the Windows 10 setup file from Windows 7 PC. Yes, upgrading/installing Windows 10 through USB would be faster than online. Warning: do not select x86 and x64 in the same ISO, otherwise you will need a disc that supports 6.8GB of data (DVD Dual Layer). A standard DVD supports up to 4.7GB. It just giving you a warning that you need a high capacity DVD, which have more than 7 GB disk space. Standard DVDs come with a 4.7 GB capacity. Or If you have a standard DVD disk then you can just select one either 32 bit or 64 bit. x86 = 32 bit and x64 = 64 bit Windows. Hopefully we have answered your question or let us know if you have still any doubt. Thanks. I upgraded today March 14, 2019 at no cost on my Dell desktop that was running windows 7 home. I did not have to do nothing major only download the windows media creation tool and chose upgrade this pc now just like the directions stated, and let it do its thing (it took a couple hours). Now my computer is upgraded to windows 10 home and running smooth again. Thanks Tech Support for the information I am very happy with my computer again. The only thing was that the upgrade deleted all of my personal files it only transferred all of my software extras, so I figured I would post this so everyone knows ahead of time to make a copy of all your documents, pictures, music, etc. and re install after the upgrade. I already done this ahead of time on USBs. Good luck to you all and I hope you get great results too!! Thanks again for the useful information on this site. Just worked for me. I tried to use an ISO of the install media I created when the free upgrade was first offered but it rejected my Win7 key. I tried again with the media creation tool and it worked without a hitch and didn’t even ask for a license key and I’m activated. Went through the whole process then got a “Windows couldn’t be installed” box right at the end. Hi, We’ll help you to fix this issue. Could you please check if did you get any error code along with this error message? Please see the below screenshot of reference. On March 26, 2019, followed your instructions and replaced Windows 7 on my HP desktop with Windows 10. Installation proceeded without a hitch. Windows 7 was a clean/updated legal copy. Windows 10 incorporated everything that was on 7. I did the upgrade this weekend and it works exactly as described. I found this site very helpful and I am glad that I found it. Just one remark:I had to start the upgrade three times as I did not have sufficient free space on the C: drive. The first time, the upgrade procedure raised an error message, that 10 GB free space were not available. After cleaning up, the second attempt simply ended with a not very specific error. Searching in the web gave me the idea that I had to provide more free memory. With 25 GB free space on C:, the third attempt was successful.